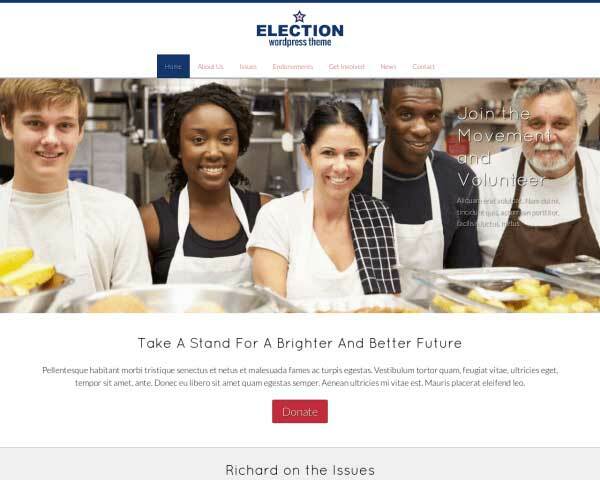 Like any great party, your website is only a success if people show up. 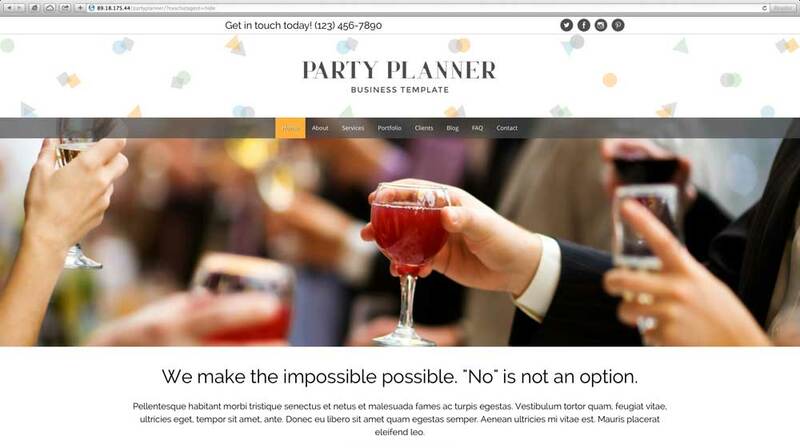 With the Party Planner WordPress theme, you can easily build an impressive website to attract new clients for your event planning business. 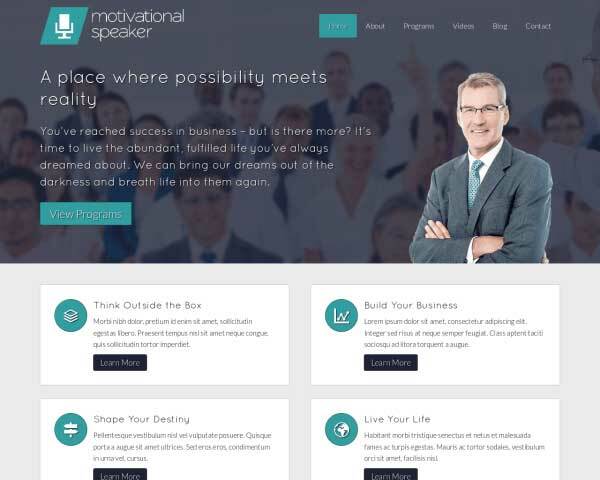 Growing your event planning business with a professional website is affordable and manageable when you start with the Party Planner WordPress theme. Everything you need is already set up, including an overview of your event planning services and individual pages for more details, beautiful full-width image galleries, a page for your list of clients and regulars like About Us and Contact pages. All that's left to do is add in your own text and photos. No coding is required so it's easy to build and maintain even if you've never made a website before. 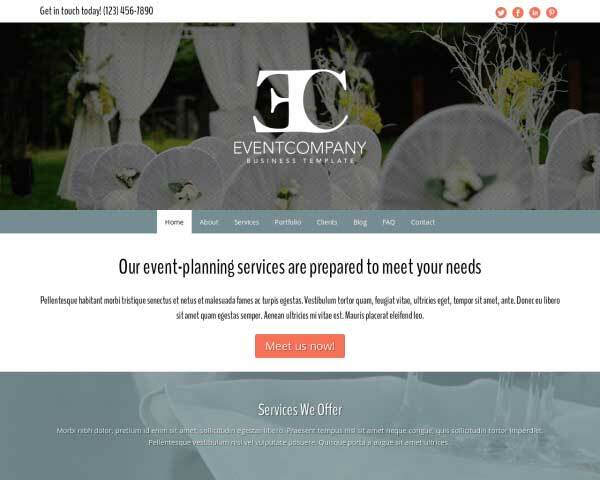 This website template for event planners is fully-responsive, with dazzling mobile design for clients viewing your pages on smartphones and tablets. We've included useful features that would normally require tedious coding or plugins, like built-in forms, social media integration, and a helpful SEO manager to boost your search engine rankings and attract new business. 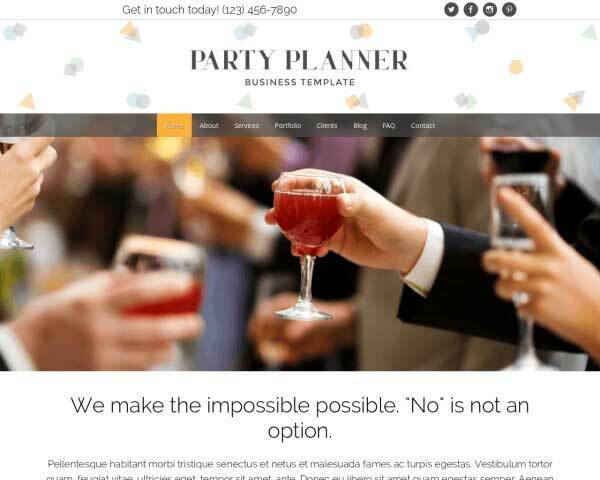 The Party Planner WordPress theme helps you show clients what you can do for them with a great-looking website that gets the party started right. Before building the Party Planner WordPress Theme we researched the specific business needs of dry cleaners. We've included powerful features to get the most out of your investment in a new website. 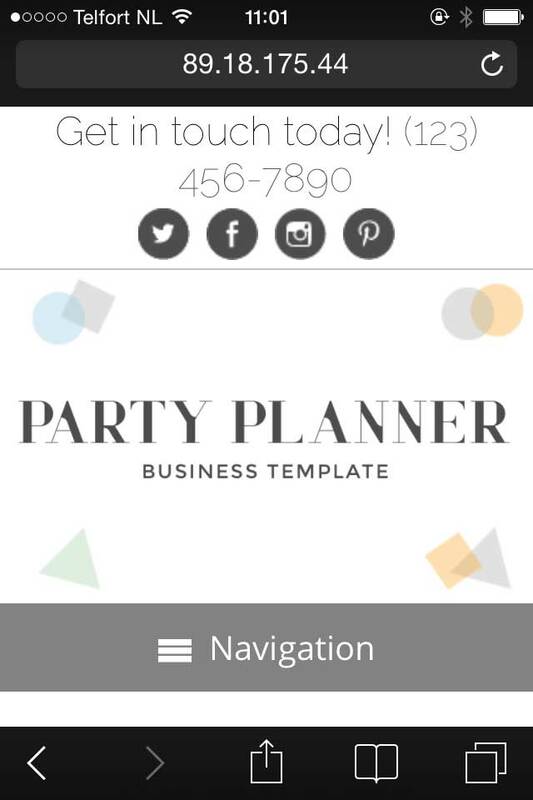 The contact page on this Party Planner WordPress Theme is set up with space for your contact details and a customizable form. Use modules to easily add photos or a Google map. 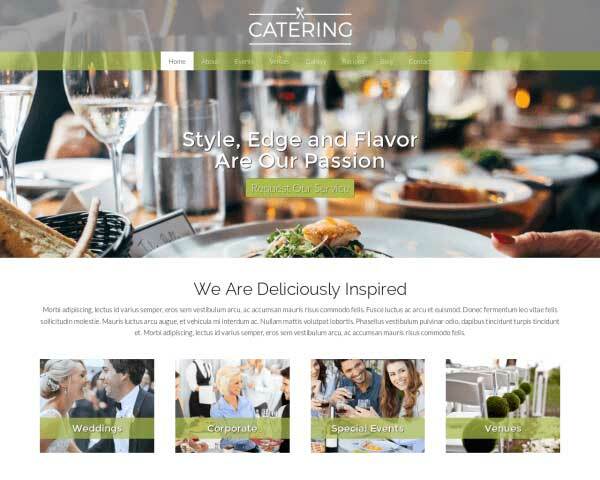 The layout of the Party Planner WordPress Theme steers visitors to the most important parts of your website with a clear design. Feature your best photos by adding an image gallery to any page on the Party Planner WordPress Theme. Clicking on any thumbnail opens the photo in an elegant lightbox slideshow. 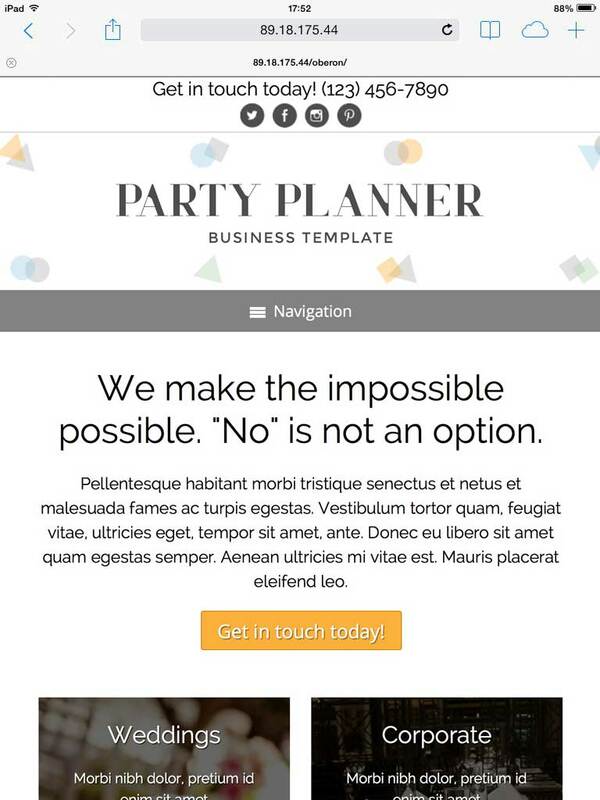 Share your unique and appealing offerings on the service detail pages of the Party Planner WordPress Theme. Simply replace the text and images with your own. 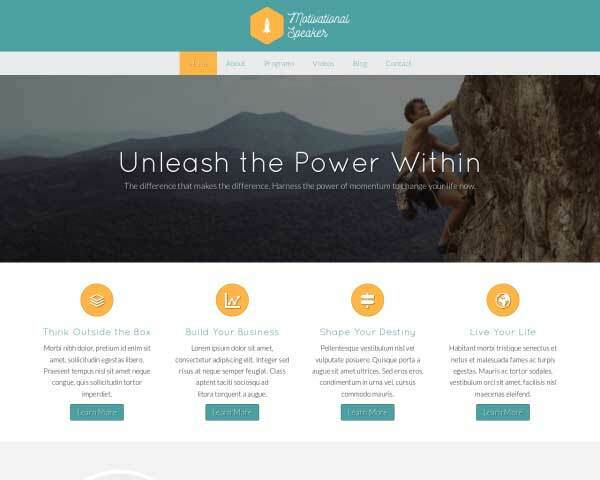 The clean layout of the Party Planner WordPress Theme let's your website's visitor know instantly what solution you can offer for their respective problems. Encourage visitors to follow you online with a single click. The Party Planner WordPress Theme includes matching icons as well as widgets that display your latest tweets or a Facebook like wall. 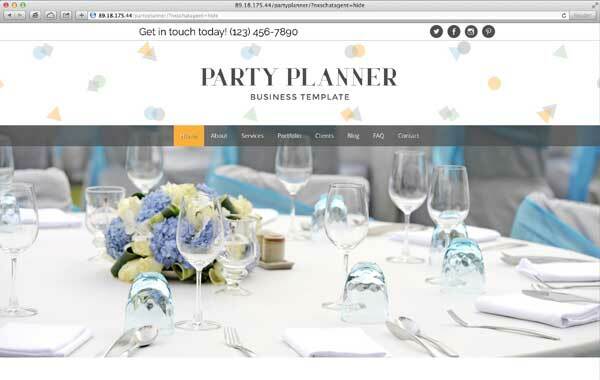 Ensure that all visitors to your event planning website enjoy a fabulous online experience when you build your site with the responsive Party Planner WordPress theme. Our mobile-optimized design will automatically adjust the layout of your content to display neatly with intuitive navigation on any screen size. Mobile visitors will be treated to the same gorgeous full-width photos and user-friendly functionality as the desktop version, plus the ability to tap your phone number to dial or tap your email to open a new draft. As you add new content, you can feel confident that your website is future-proof, sure to look great even on the latest mobile devices.